It’s almost summer time which mean beach time! I recently purchased a few bags of beach glass from the Christmas Tree Shop when I saw they were $1.29 per bag last weekend. I didn’t know what I was going to do with it at the time, but I figured I could find project! Then I was wandering through Target and came across a fillable lamp for $14.99. Project found! I even found a matching shade on clearance at Target for $10! Assembly took 5 minutes and it came out really cute. 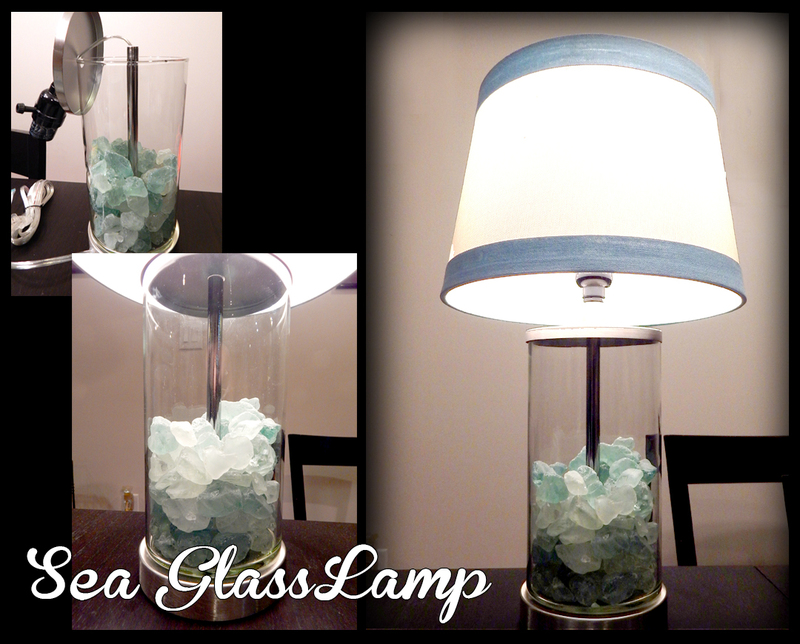 I might go back and get more sea glass to fill the rest of the lamp or leave it the way it is. The light really bounces off the glass and makes it glow. The pictures do not do it justice. Oh, Hello! Thanks for stopping by. Here you will find stories of my attempts to complete DIY projects including tips, tricks, and mishaps along the way. The site will also include photos of my new puppy (who's not obsessed when they get a new puppy!?!) and other information I think the rest of the world might find useful. If you like something on my site, please like, comment and share, and let me know what you don't like. Any feedback is welcome!